I have been coaching sportsmen and women in the art of using more of their mind in competition for almost 20 years, and I have a unique approach that makes all the difference for people who work with me. I’ve had the advantage of being involved in motorsport for more than 35 years, and this has given me a solid foundation to work mainly with racing and rally drivers during the time I have been coaching. I have also worked with schoolboy/girl boxers. Initially I started out racing myself in various categories for several years before taking up the journalism and PR side of the sport. Having competed myself, it made it much easier when working with the drivers, to understand what it feels like to be racing a car and what ingredients precisely are required to make improvements in performance. The last 15 years – having extensively studied the workings of the mind to degree level, in addition to intensive seminars, diploma and certificated courses – have given me greater insight into the issues most people have. I discovered the missing vital element for most people is the understanding of how the mind works and without that, change is likely to be superficial and short-term; a little like making a New Year’s resolution, which only lasts for a while. When we arrive in this world we don’t have a manual which tells us how to operate our mind for best results; it tends to be largely a trial and error business and is very dependent on our parents and carers to help us along the way. As young impressionable children, mainly from the ages of 0 to 7 (called the ‘Imprint’ period by sociologist Morris Massey), we are easily ‘programmed’ into the way we become, without the ability to question whether or not these thoughts, beliefs and values that are handed down are even true. They are simply imprinted into the unconscious mind and from then on, completely unaware, people live from these programmes on autopilot, sometimes for up to 95% of their lives! Understanding how the mind works is the key to beginning to take control of our unconscious mind processes. From my psychotherapy training I realised that most people – from the way they are brought up – have issues of varying degrees. My first job when working with a client is to find out if there’s anything in the person’s unconscious mind which is hampering them from being successful. Once we’ve brought that up to the surface (conscious mind), we can work with the unconscious mind, which is where all change takes place. The other keys to initiating change are through relaxation training and memory management, and all my work is supported by research in these areas. Read PR Consultant Simon North‘s account when he attended a seminar. 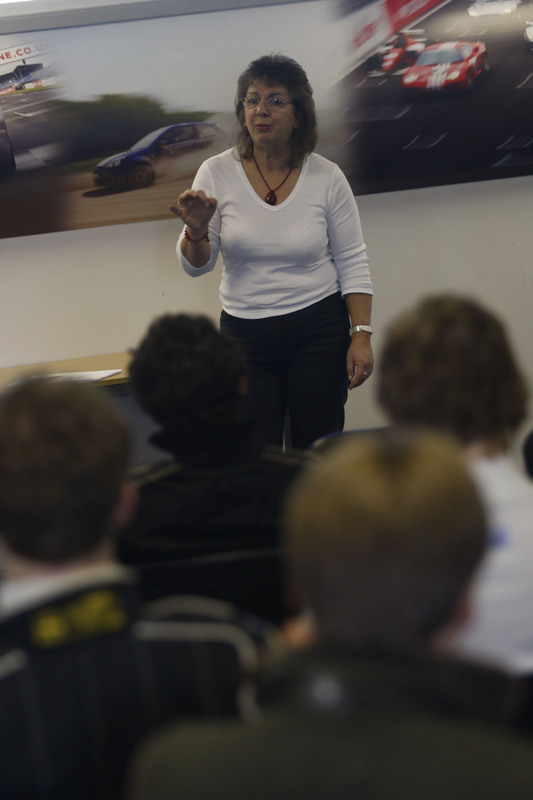 Please contact me to discuss my Unlimited Racing seminars, designed specifically for racing, karting and rally drivers/co-drivers, and how I can help you make vital and lasting changes in competition. I regularly use Skype video calling to coach drivers and this option is available for convenience if required. TrackDriver magazine is available on free subscription to competitors and back issues are also available to buy. 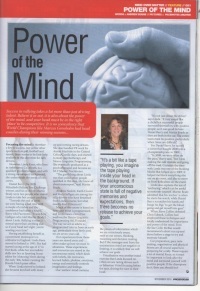 Issue 14 of TrackDriver magazine, featured Part Two of Linda’s article on Mind Coaching, ‘Relax. Imagine. Believe. Do. Win. It’s all in Your Mind’. October 2012 issue: Available as a back issue is number 13 of TrackDriver magazine, featuring on Page 58 Part One of Linda’s article on mind coaching, ‘Going with the Flow’. Working with young driver, George Blundell, to demonstrate the power of the mind. My experiences of dealing with Linda were and still are, nothing but positive. irrational, and definitely can be overcome.